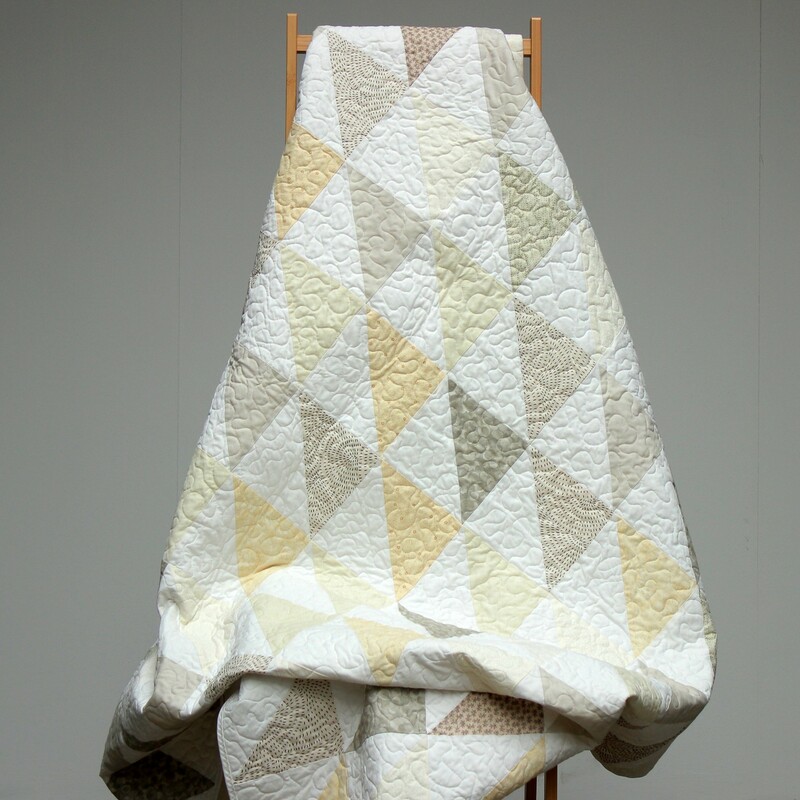 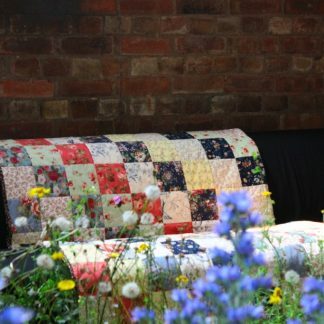 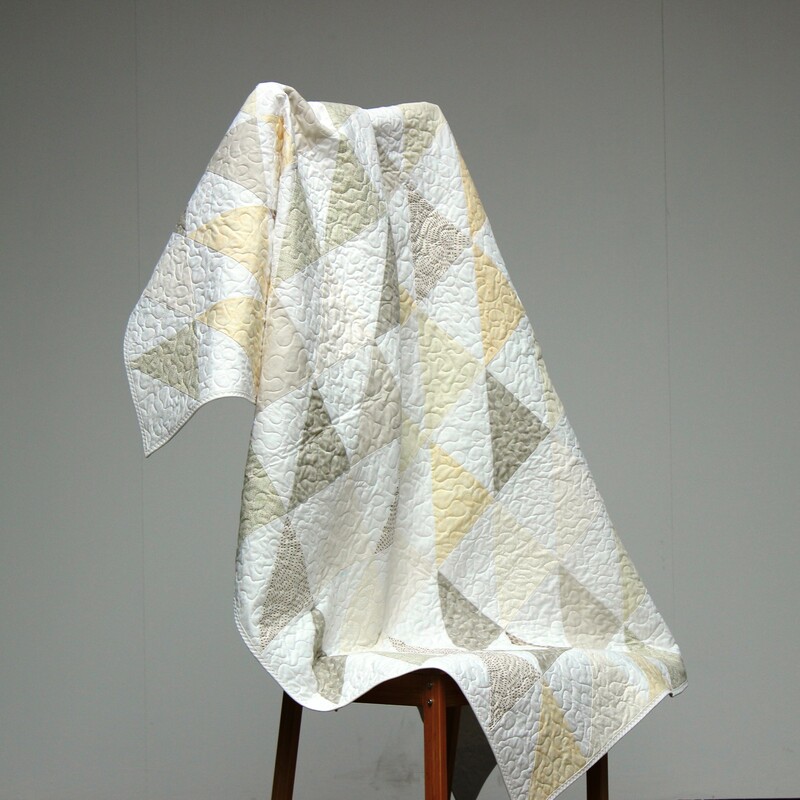 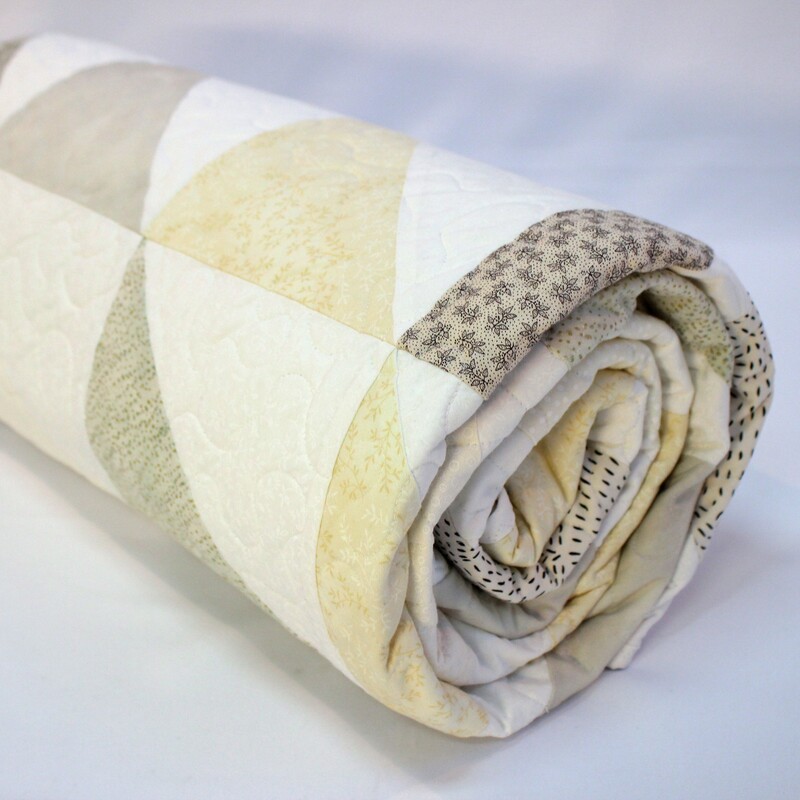 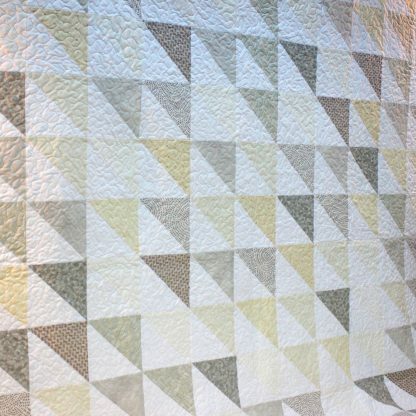 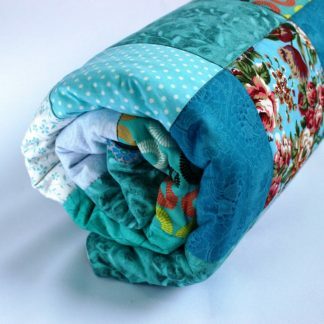 This unisex patchwork quilt uses white and neutral tones to create a soft and calming scene inspired by wintery snowdrifts. 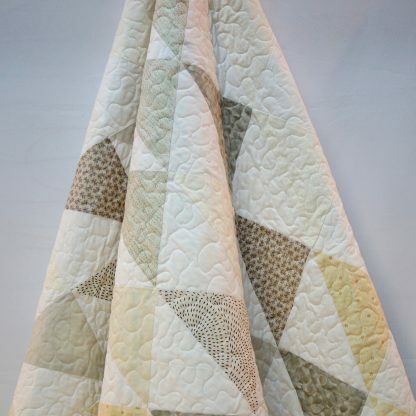 It has free motion meandering stitching, reminiscent of wandering footprints through the snow. 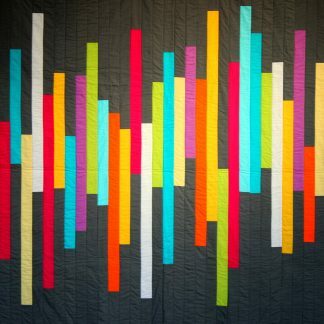 Measures 178cm x 192cm (70″ x 76″). Large enough to cover a single bed with generous overhang or a double bed with a small amount of over hang.